Author Joni M. Hand sheds light on the reasons women of the Valois courts from the mid-fourteenth to the mid-sixteenth century commissioned devotional manuscripts. 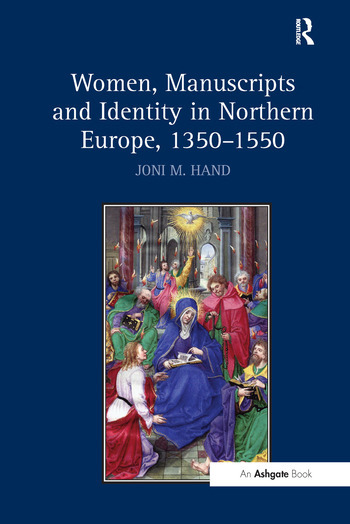 Visually interpreting the non-text elements-portraits, coats of arms, and marginalia-as well as the texts, Hand explores how the manuscripts were used to express the women’s religious, political, and/or genealogical concerns. This study is arranged thematically according to the method in which the owner is represented. Recognizing the considerable influence these women had on the appearance of their books, Hand interrogates how the manuscripts became a means of self-expression beyond the realm of devotional practice. She reveals how noblewomen used their private devotional manuscripts as vehicles for self-definition, to reflect familial, political, and social concerns, and to preserve the devotional and cultural traditions of their families. Drawing on documentation of women’s book collections that has been buried within the inventories of their fathers, husbands, or sons, Hand explores how these women contributed to the cultural and spiritual character of the courts, and played an integral role in the formation and evolution of the royal libraries in Northern Europe. Contents: Introduction; Female book collectors in the Valois courts; Women and religious manuscripts: identity expressed through patronage; Visual demonstrations of identity; Women and legacy: the generational transference of identity; Conclusion; Appendices; Bibliography; Index. Joni M. Hand is an Assistant Professor of Art History at Southeast Missouri State University. She specializes in manuscripts produced in Northern Europe and gender in the late Middle Ages.